On 4 December 2000, the United Nations General Assembly established that from 2001, June 20th would be the day the world commemorates the strength, courage, and perseverance of millions of refugees. Each year the United Nations, United Nations Refugee Agency (UNHCR) and countless civic groups and NGOs around the world host World Refugee Day events in order to draw the public's attention to the issue. On Tuesday June 20th 2017, our team was driving from Vilnius to Rukla to take part into a big event hosted by the Refugees Reception Center. It was a great opportunity to meet refugees, talk to them, to see with our own eyes where and how do they live. The schedule of the event was very interesting: sport games, activities for kids, Lithuanian traditional music live concert. During lunch break we tasted delicious food made by refugees from their countries traditional cuisine. 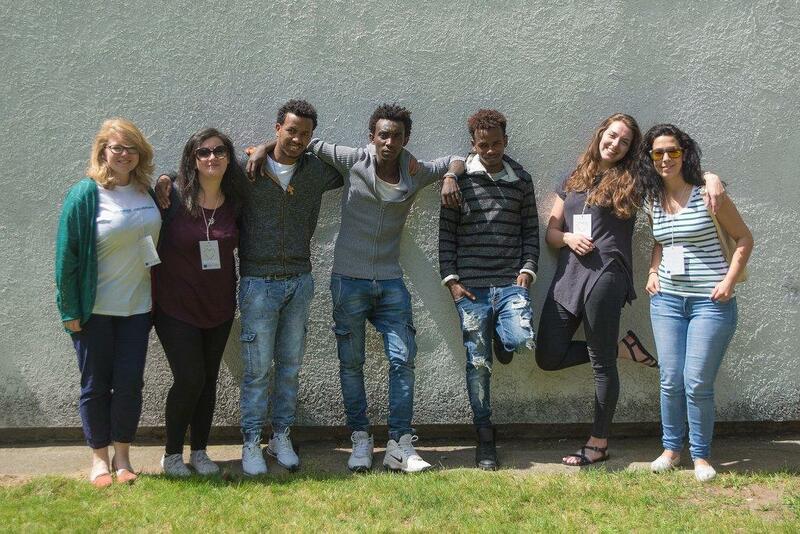 We had the chance to meet refugees, introduce our organization and listen to their stories. Most of refugees hosted in Rukla Center, consider their stay as temporary. They’d like to go to Germany or France because they think they will have more opportunities there or just because they have friends and family abroad. But there’s still someone that is considering to build a future in Lithuania. Reema, 20 years old, dreams to be a doctor. She is from Syria and she needs to wait for documents in order to be allowed to enroll in university here in Lithuania. “I hope you will have soon the chance to do it” – I said. “I really thank you. School is very important to me”. Her eyes were shining while she told me that, like she was surprised that someone she just met was showing interest for her future. Dawit, 25, from Eritrea “I would stay here if I’ll have the chance get a job and meet people”.